Qualifications: Open to players ages 9-13 & 14-16. Skill level: low intermediate and above. 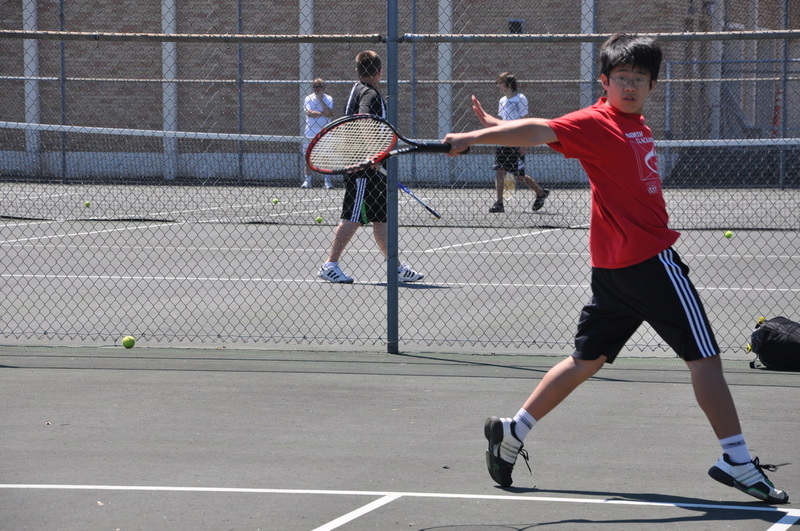 Must be enrolled in the 1st session (4 week camp) to be eligible for the first 4 matches. Jim will attend each of the 3 matches over the summer from June to August. politeness and trying hard to the end will be priorities. Details: See below schedule for dates. We will always meet at Jim's house first and car pool to the clubs. These club matches usually take 3 hrs (1/2 hr driving each way and 2-3 hrs of matches. 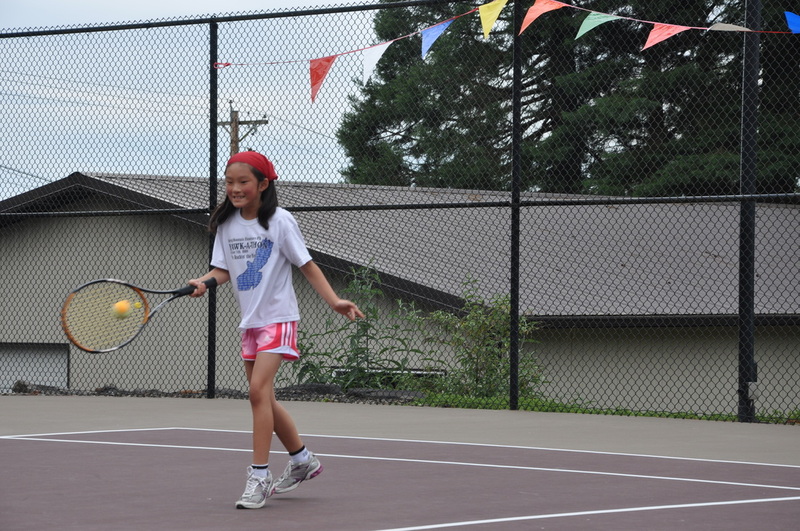 Bring two racquets, a hat or visor, sun screen and $5 for snacks or drinks. We are planning 3 travel matches during the summer and will be attended by Jim and parents that drive or car pool. 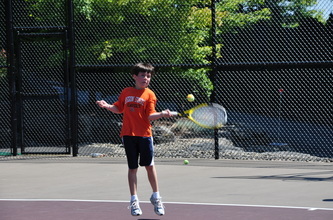 To qualify for the Traveling Team you must be willing to play 2 practice matches per week with another player, plus commit to 2 USTA tournaments during this summer. We have room for 12 kids. Your parents must be able to drive you to the clubs or car pool with other players. 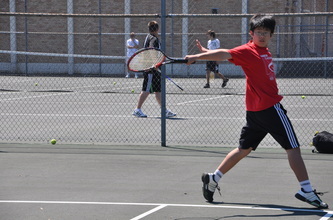 1) 1st match with Portland Athletic Club in Raleigh Hills. 2) Vancouver, Washington. Tennis Club. Aug 14th Wednesday at 1-4pm. Host pro is: Wayne Pierre. Club Phone is: 360-574-1991.
or if you decide to drive there on your own, make sure you tell Jim. Location of hosting club: Lake Shore Athletic Club, 2401 N94th Street, Vancouver, WA. 360-574-1991. Limited to 10 juniors and 3 parents driving. 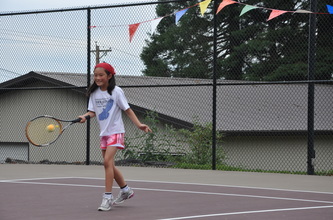 she plays tennis and her frequent smiles makes others happy. to be a lefty. In tennis, leftys have an advantage over rightys. Director, Jim Hastings, prepares to hand out trophies for the summer program. Dr. & Mrs. Ken Claggett allowed about 300 people to pack into their back yard for the event. can get to some impossible shots that simply makes my head spin.